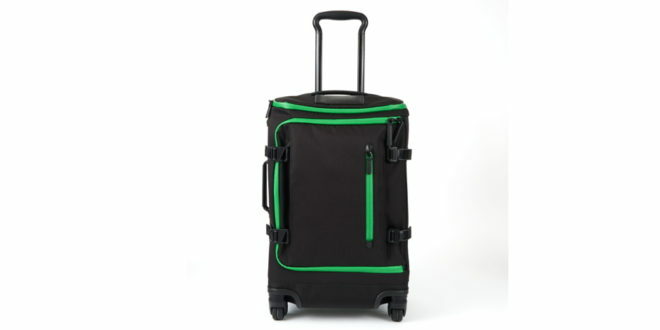 International brewer, Heineken has teamed up with TUMI to launch a custom #Heineken100 carry-on suitcase. Just 100 items of the suitcase have been created and have been sent to well-known men, including Marcus Troy and DJ Neil Armstrong ­– it’s unknown why the carry-on case could not be sent to influential women as well. "With an internationally known brand like TUMI, this year’s #Heineken100 program has been more successful than ever before," said Raul Esquer, USA brand manager for Heineken. "We’re proud to add yet another functional and beautifully designed item to the program with the carry-on." Inspired by the city of Amsterdam, the case features green zippers, various space compartments and marks the third release in a series of premium travel product collaborations from Heineken and TUMI in 2016.